Well many among us are really curious to know about the white fur Boxer dog. An idea is; it has become sort of really rare species as, the breeders have tried to eliminate the natural white skin of this boxer dog, which is the main of its recognition. White Boxers were accepted for registration and breeding by the German club up to 1925. But after that it was banned as it was observed, the white boxer dog which was used to be trained as a police companion to trace the criminals for its extraordinary genius and skills. There occurred a snag; as the white fellow could be spotted easily by the malefactors for its whiteness at night. Sadly, its white gene was extinguished and the white boxer dog faces scarcity today. 1 Why White Boxer Dogs are regarded white? 4 Are White Boxers susceptible to tumors? 5 The husky White Boxer is a sturdy guy! Why White Boxer Dogs are regarded white? But still, the abovementioned fact is not more than a legend as more than 20 % boxers are born white. The loyal white boxer is the choice of many dog lovers around the globe. Don’t confuse yourself by considering the white boxer dogs as albinos because their light tawny skin is marked with excessive white spots spread over their coats. But it is to be remembered; the white markings are not over than one third of the body. Truly speaking, it is their white fur which named them as white boxer dogs. Albino boxers are born free from any sort of pigment over their bodies. Some white boxer fogs are observed to have patches in colours while some are also born as blue-eyes. Interesting, isn’t it so? The noses of the white boxer dogs are spotted with black which normally start to grow when the pup is one week older and almost whole nose is filled by 16 weeks. A careful distinction must always be kept in the mind of the boxer lovers; the white boxer may have the pigmented spots around the ear and eyes and also near some other parts of its body while the Check Boxers have the spots in much abundance existing all over. Some people call the white boxer as the Alaskan Boxer wrongly. The first White Boxer was bred in the start of the nineteenth century and it was predominately white. Deafness is also common in these boxers and a research denotes, the 7-8% white boxer dogs suffer from the deafness in both ears and 15% of them could be suffering from one ear deafness. The rationale behind this commonality is a lack of pigment in the skin cells of their inner ear canal and consequently the loss of sensory hair cells at about 6 – 8 weeks of age begins to be occurred in this species. But, this lacking is not merely the reason for the deafness as sometimes there are numerous other external circumstances for the outcome of the hearing impairment. Some breeders also discourage the breeding of white boxers as comparatively with their colourful counterparts, these boxers and their offspring could be more prone to the deafness. Some real dog lovers even train their deaf white boxers trough many useful methods like hand signals, body exercises and flashlights etc. Like other white dogs, the white boxers are prone to the sunburn and sunstrokes as well. Applying the appropriate sunscreen could avoid the sunburn in these boxers. 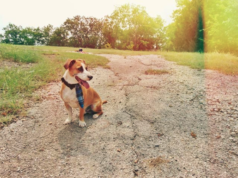 It is particularly important to use a quality sun blocker or sunscreen when you are taking your boxer out side. It is so critical just like us, if dogs are suffering from sunburn, it can damage the skin tissues and resultantly the irritation will cause swelling and other after effects. But in the sensitive areas of the body, the usage of sunscreen should be kept away. Another important thing is; some human sunscreen could be dangerous for the white boxer dogs as it contains certain chemicals and toxic material that are harmful for these dogs. Because the dogs have a natural instinct to lick their bodies. So better to seek recommendations in this regard from the qualified veteran. The white pups are especially more sensitive skins so they need more care and diligence. 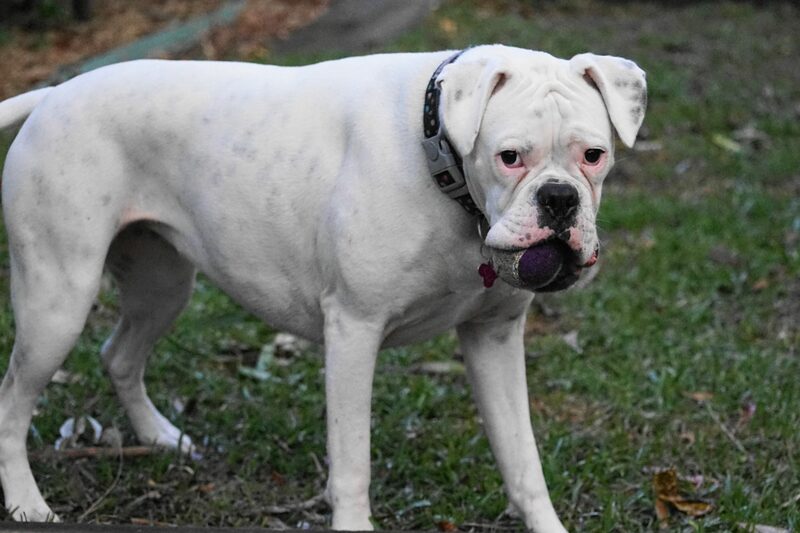 Are White Boxers susceptible to tumors? Well, there are some possibilities that white boxer could be harmed by the tumors but there is no pet evidence that this specie is a short living creature or is at higher risk to be influenced from the tumour disease. White Boxers, if kept and grown up in their suitable environment and with care, they enjoy extremely joyful and long life. The husky White Boxer is a sturdy guy! Apart from the deafness issue in the white boxers, they are naturally stronger and healthier than the albino boxer dogs, who normally experience many diseases. 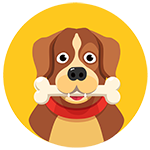 This friendly fellow is a faithful and trustworthy human mate which is a playful buddy for the children. He possesses the same temperament and stands among the most desired family dogs in the world. The white Boxers are at risk of the diseases as the normally other boxer species face. In the recent past, a voting was conducted by the American Boxer Club and resultantly they allowed the breeders to place white boxer puppies with Limited AKC Registration upon proof of the puppy being spayed or neutered. In this way, the keepers of the white boxer dogs will be able to take part in the AKC performance events like obedience and agility. There will be a slight criteria through which the keepers have to pass through. The hallmark of the white boxer dog is; it is not a waywardly aggressive but a true family dog full of charm and energy. 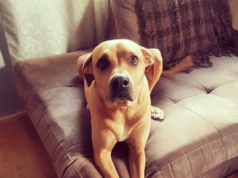 What we recommend, this great, affectionate and gorgeous lad must be adopted as a pet which is never disloyal and duplicitous towards its owner. We also hope that our efforts would had somehow succeeded in discouraging the general misconceptions about the White Boxer. Even they are now in competition with their colored fellows and their demand and price is increased higher. They are getting popularity and becoming more acceptable and desirable. I liked the article but i have to ask were u got this photo as i believe this my boxer down to the tot he is playing with. I dont care just curious as it would be cool if this turns out to be him. As a former owner of a white Boxer, as well as several fawns, I can say that Boxers are great dogs. Unfortunately we had to find a new home for the White. She was extremely hyper and, looking back, I do suspect she was deaf, at least partially. 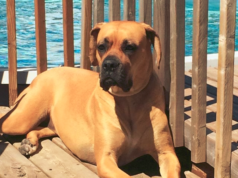 She was almost un-trainable; when visitors came over she would just accelerate and spiral in her excitement – not aggressively, but like a kid on a sugar-high (none of our other Boxers exhibited this behavior.) I have nothing against the white Boxer, but their natural exuberance as a breed is not a good mix with deafness.